Mina graduated from the Corcoran School of Art and Design in Washington D.C. She holds a Bachelor’s Degree in Fine Arts/Graphic Design. Her professional career experiences include advertising, production, design, and tourism and hospitality. She has worked for companies such as The Miller Group Advertising (Los Angeles, CA), G.E. Capital (Los Angeles, CA) and T. Rowe Price Inc., Gobal Marketing Division (Baltimore, MD); Hilton International (Washington D.C.), Harbor Court Hotel (Baltimore, MD) and ANA Hallo Tours (Los Angeles, CA). Mina also has over 10 years of volunteer service with various non-profit organizations in the Baltimore/D.C. area, focusing on arts, education, special education, and physical therapy. Volunteer experiences include: Village Learning Place, Washington Center for Therapeutic Riding, Kennedy Krieger Children’s Hospital, CRS, and others. In 2002, Mina co-founded a US non-profit called Arts & Technology Exchange (ARTEX), to develop arts and technology education in Central America. 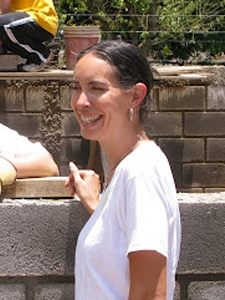 In 2003, Mina moved to Suchitoto, El Salvador, where she co-founded Artex Café and Centro Arte para la Paz. Artex Café is a business that is run by and supports single mothers. Centro Arte para la Paz is a community development project that started with the rescue and rehabilitation of an 100-year old mission, converting it into a hostel, arts and cultural center. 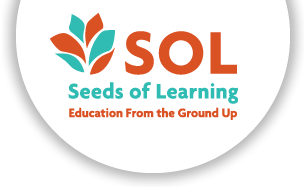 After having lived a number of years in El Salvador and Costa Rica, Mina joined the Seeds of Learning team in Nicaragua in 2011.